This is a 100 piece puzzles and has a magnetic backing. 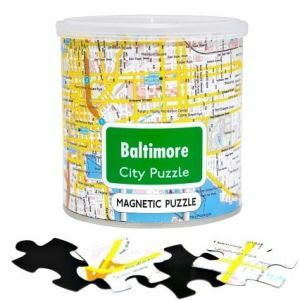 This fun puzzle will give you a whole new perspective on Charm City. Put it together on your table, or on your refrigerator. Puzzle size: 13.4 x 9.3 inches, 100 pieces.